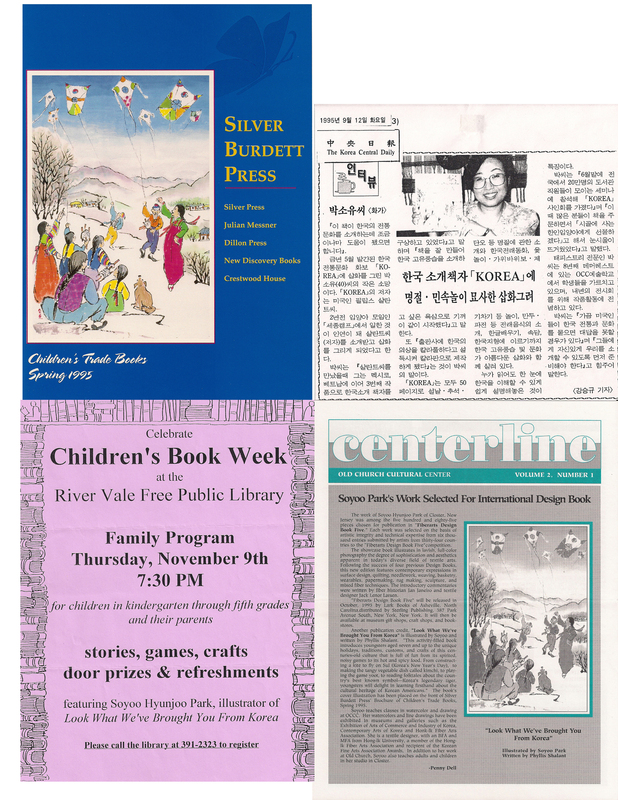 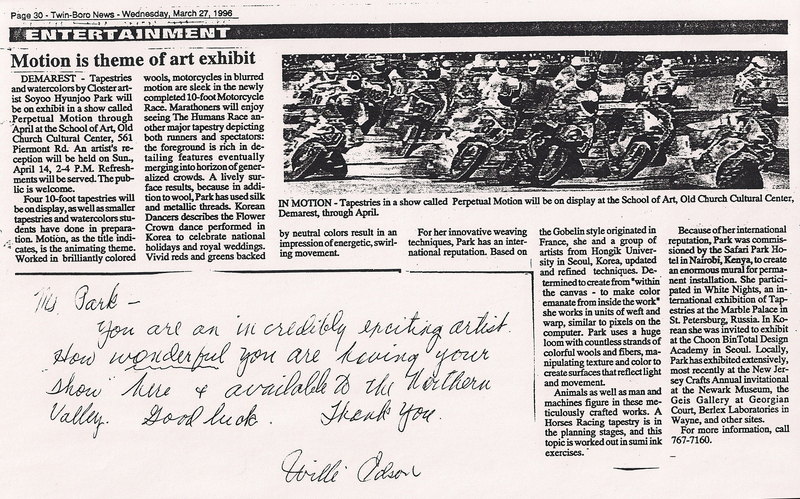 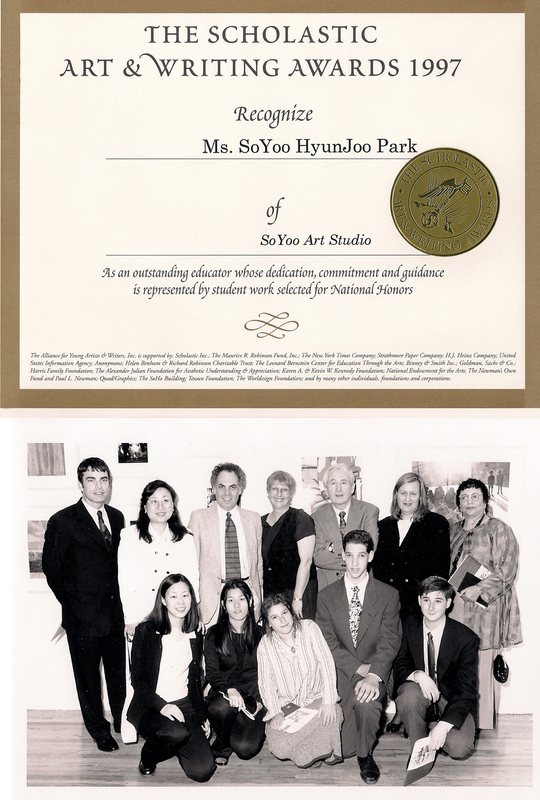 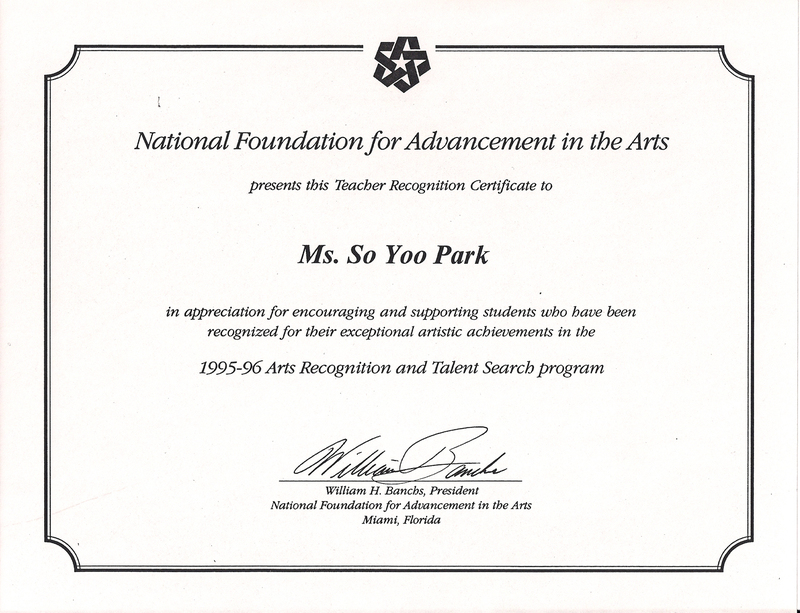 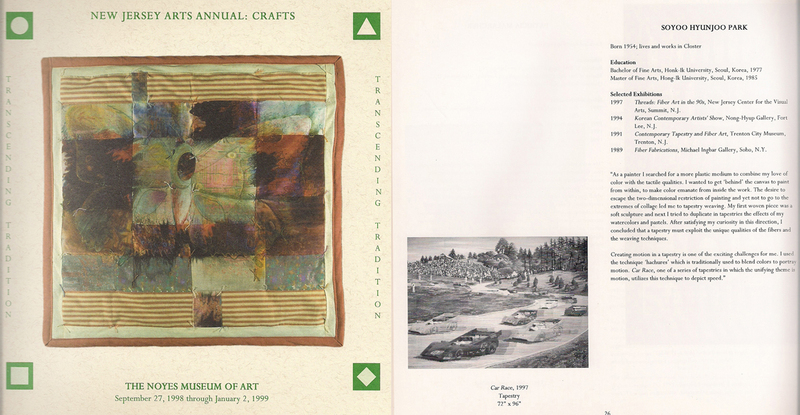 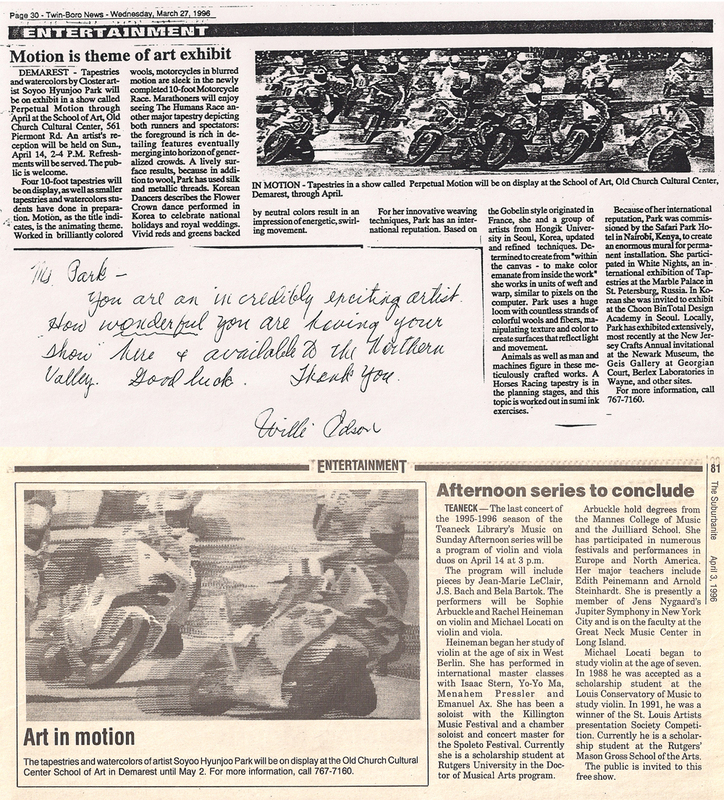 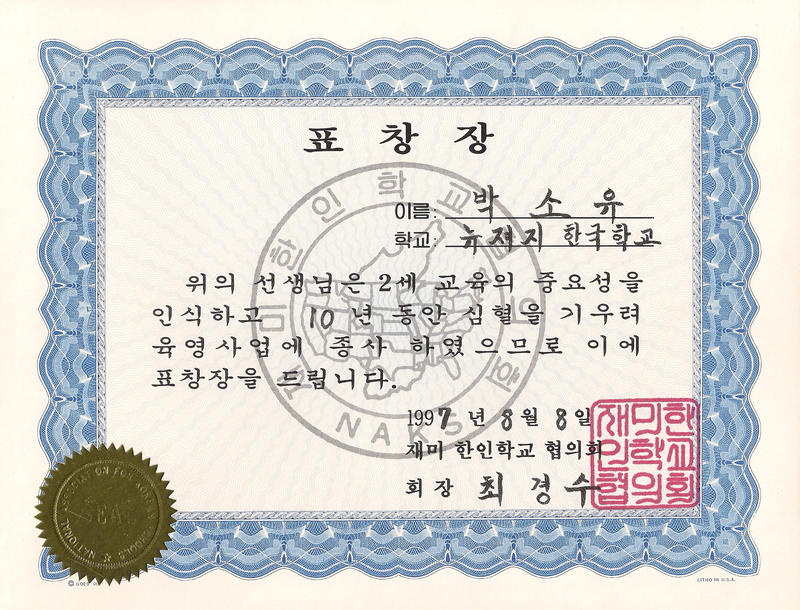 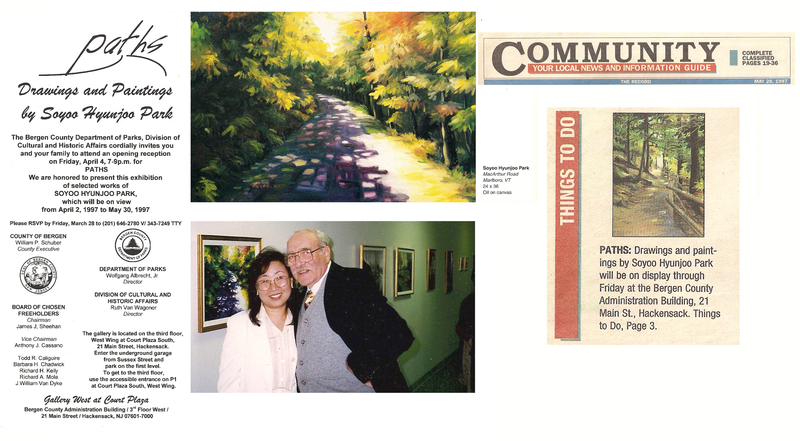 1995-06 Received the Certificate of Teacher Recognition from "National Foundation for Advancement"
2001 Designed and constructed a fish pond in Haworth for use by outdoor art classes. 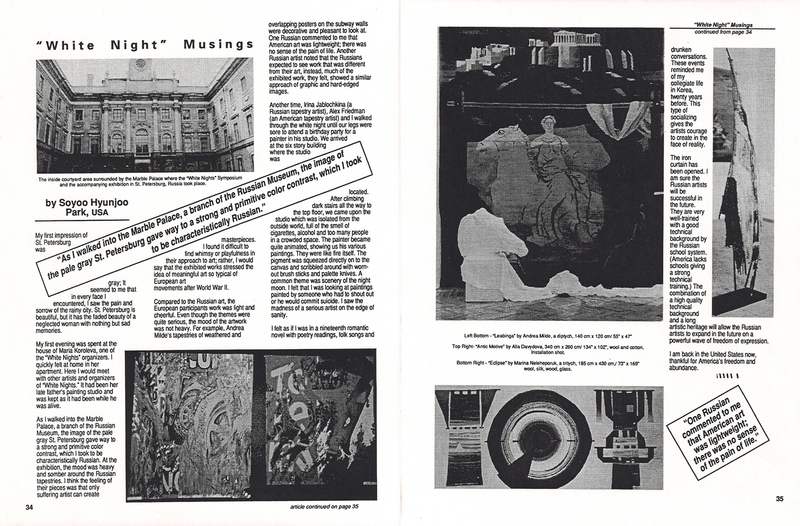 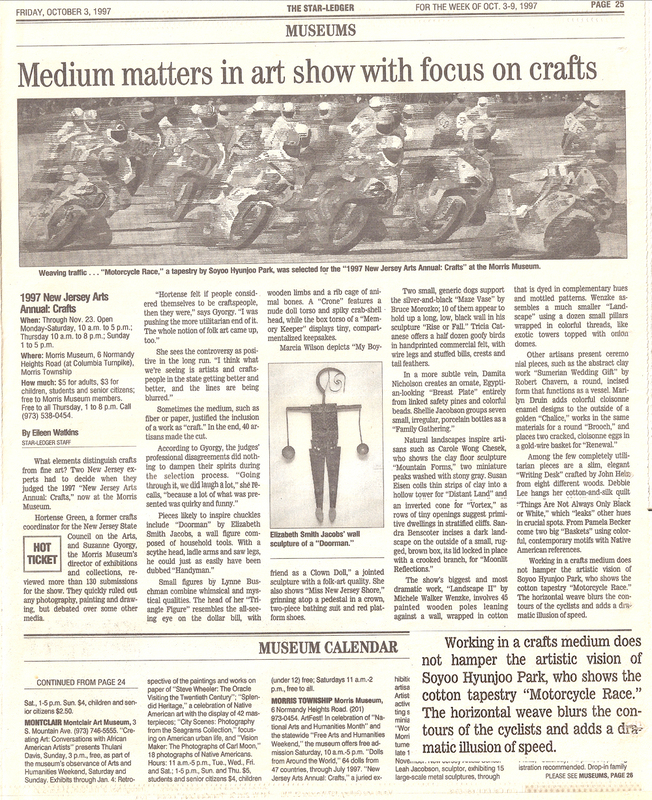 1998-99 Designed the interior and renovated 80% of the house in Haworth for home gallery. 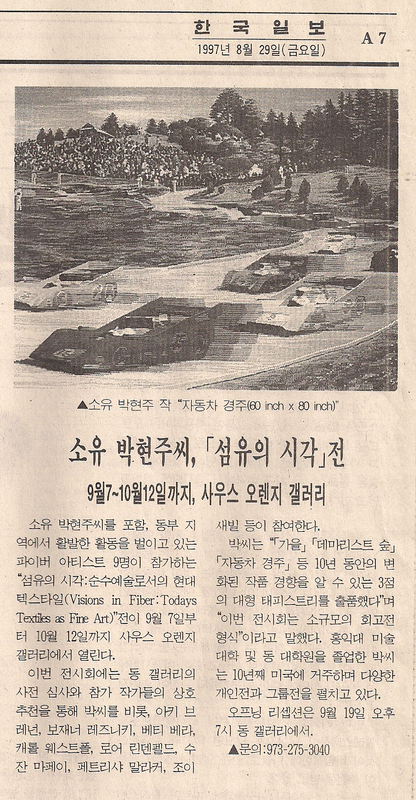 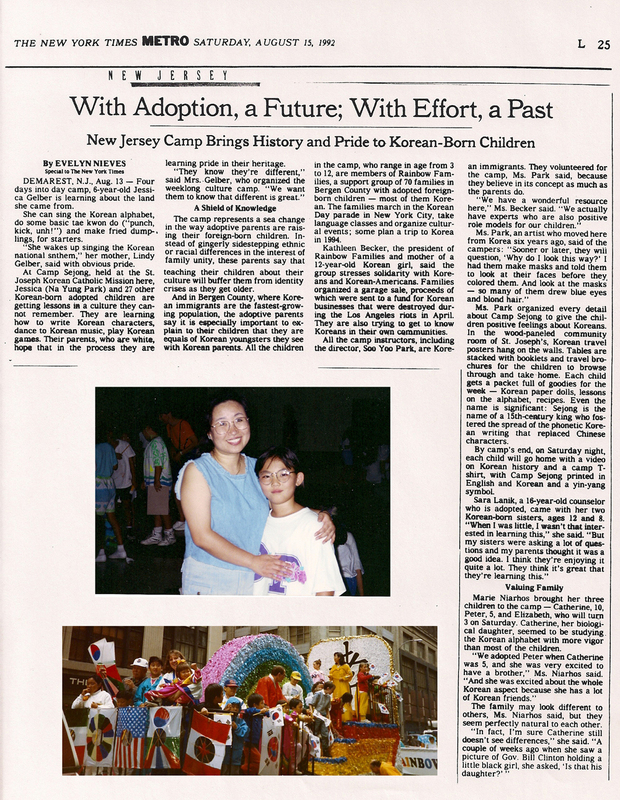 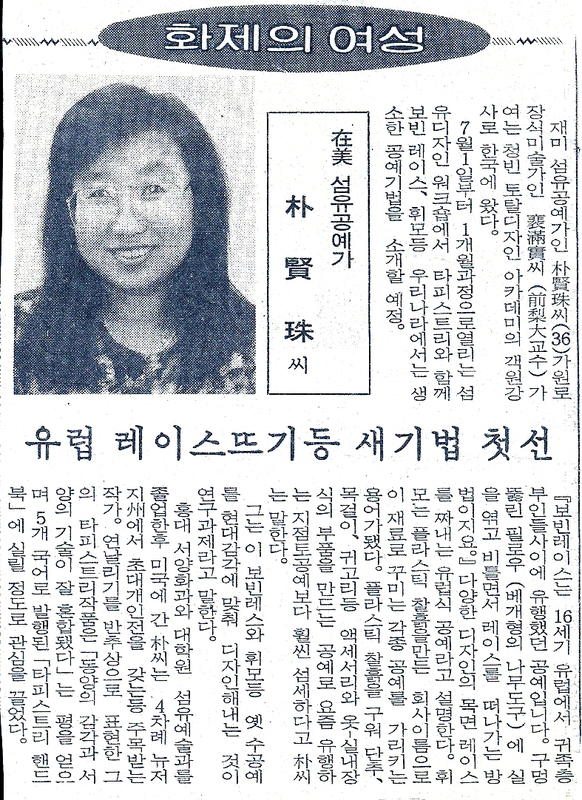 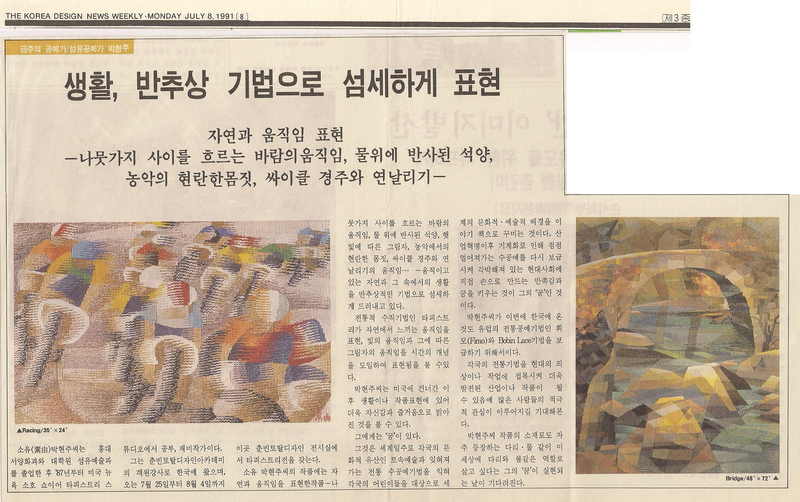 1974 Kyung-Gi Girl's High School Class of 1974, "62"
2006 "The New York Times," Mar. 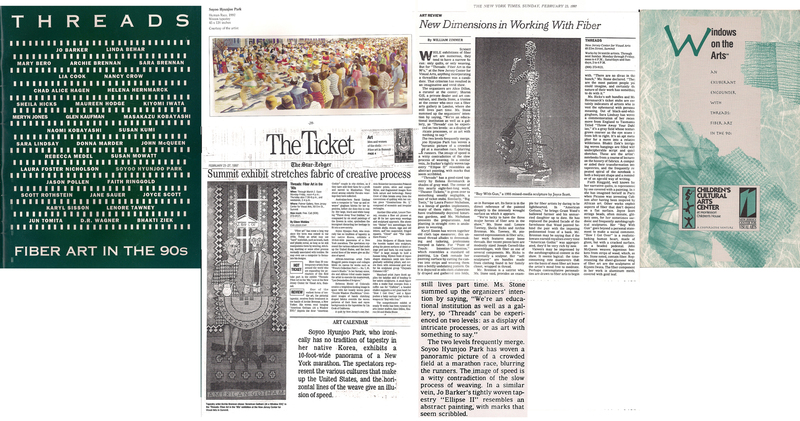 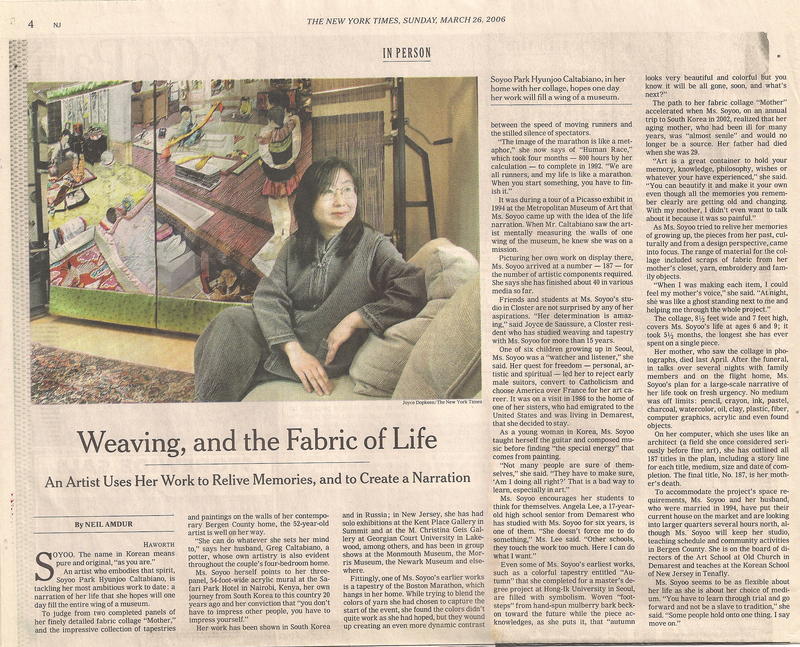 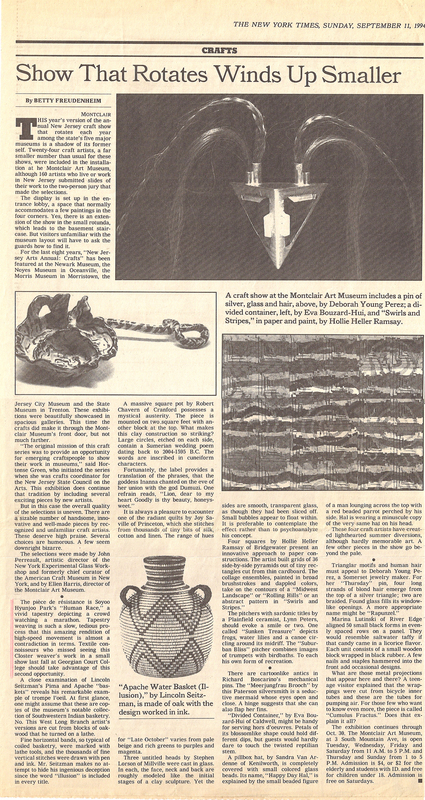 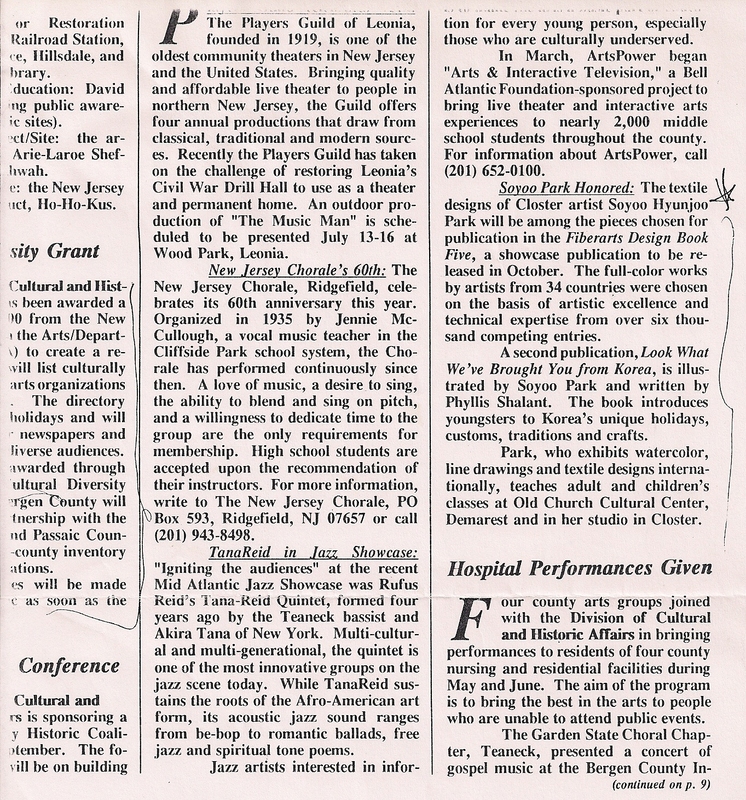 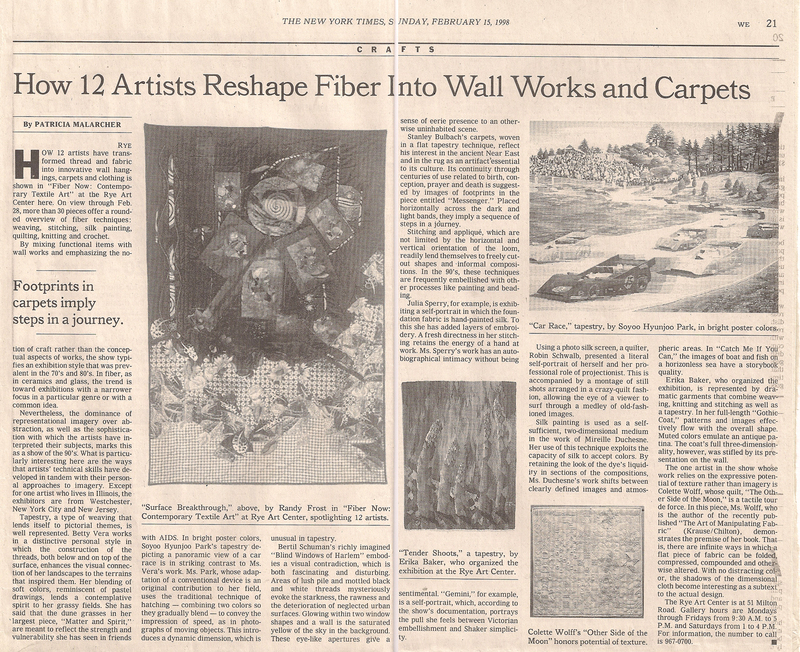 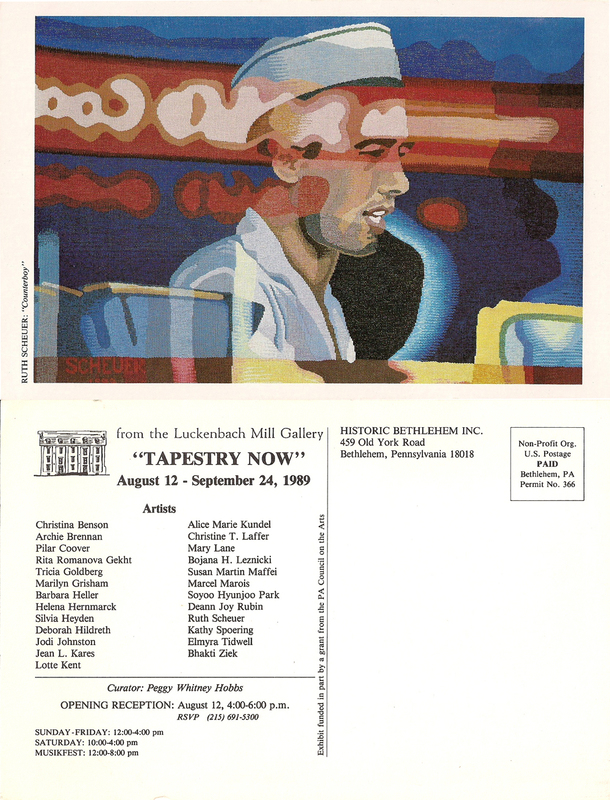 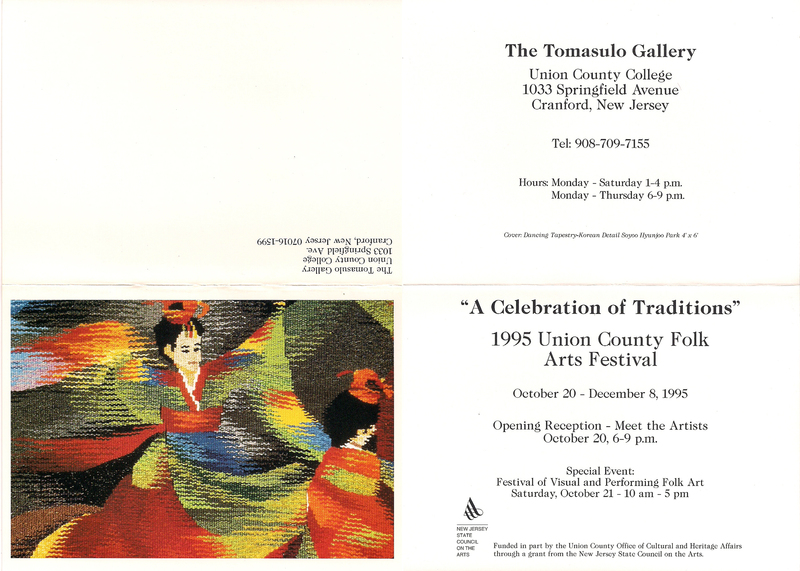 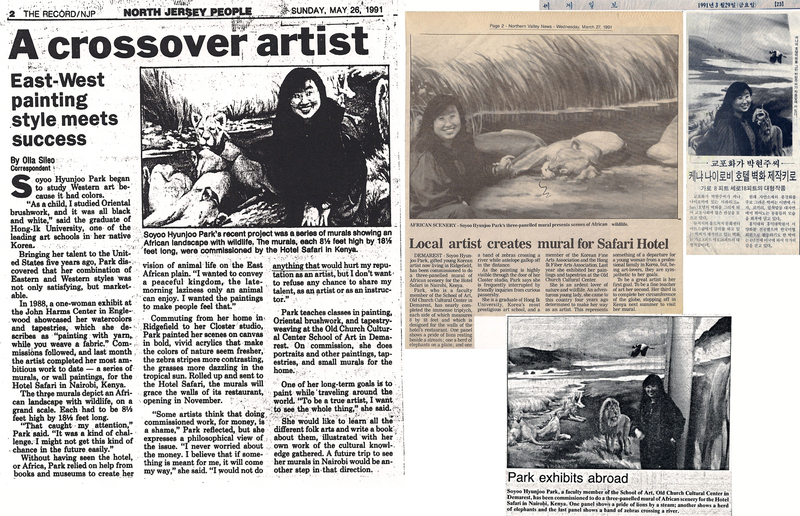 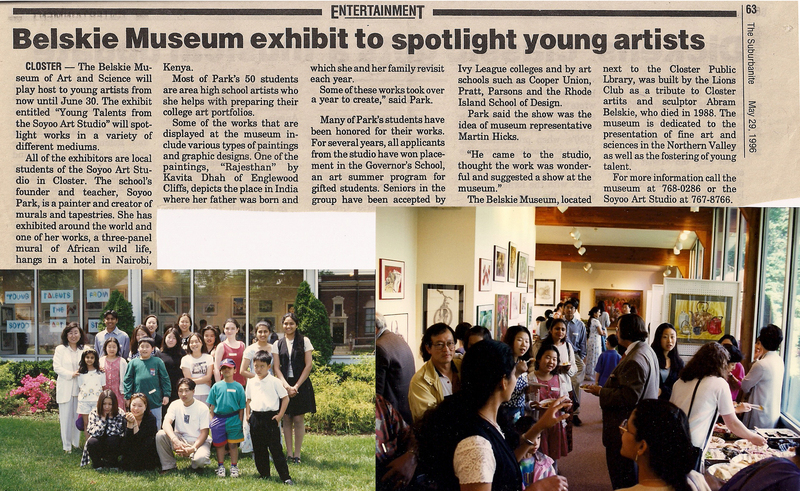 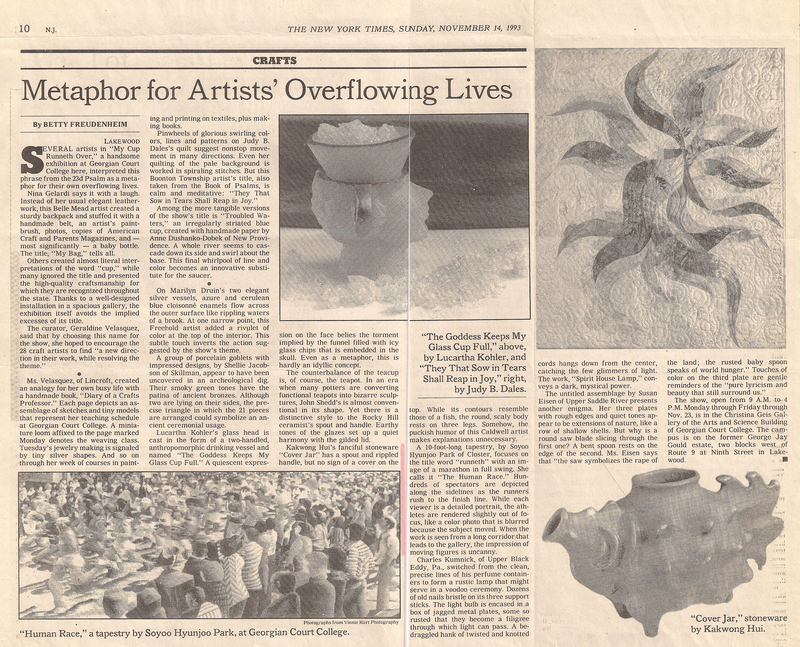 26, 2006, In Person "Weaving and the Fabric of Life"
2003 "The Record," "Voices of Korea,"
1998 "The New York Times," Feb. 15, 1998 Review of "Fiber Now: Contemporary Textile Art"
1997 "The Star Ledger," Oct. 3-9, 1997 Review of "New Jersey Arts Annual: Crafts"
1996 Twin-boro News, March 27,"Motion is theme of art exhibit"
1994 "The New York Times," Sep. 11,1994, Review of "New Jersey Arts Annual: Crafts"
1993 "The New York Times," Nov. 14, 1993, Review of "My Cup Runneth Over"